Join Blessings in a Backpack to feed the kids this weekend! 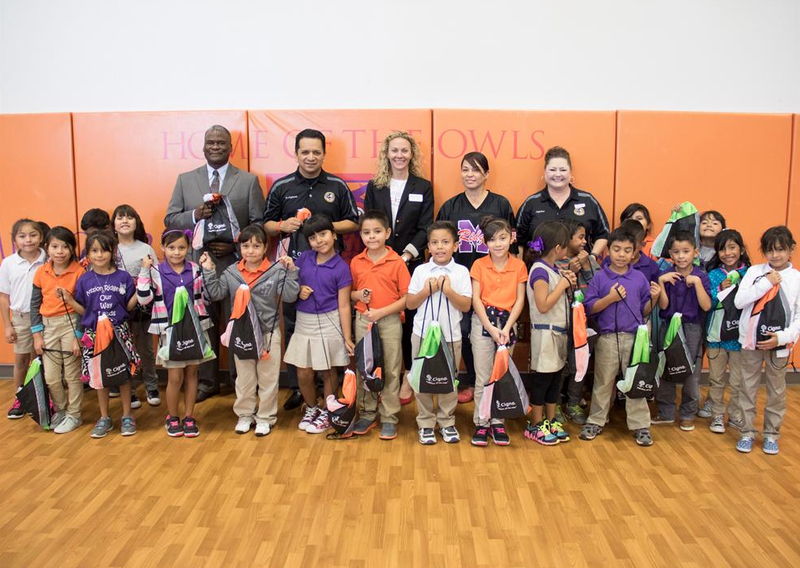 Blessings in a Backpack provides corporate partners powerful and compelling opportunities to demonstrate their commitment to supporting the health and well-being of the children in our nation facing food insecurity. Through a variety of engaging programs, Blessings in a Backpack partners can contribute their time, talent and treasure to feeding the future of America, while meeting their own business goals. » Financial donation for a specific area of Blessings in a Backpack’s work, such as volunteer support services or technology to feed children throughout the country or in designated communities or schools. » School “sponsorship” with a financial donation to support specific communities or schools. This can be paired with employee volunteerism to pack bags of food as frequently as desired during the school year. » Sponsorship of events that support hunger-free weekends. » Cause marketing campaign, such as a percentage of proceeds, dollar per item sold, or point-of-purchase donation request. 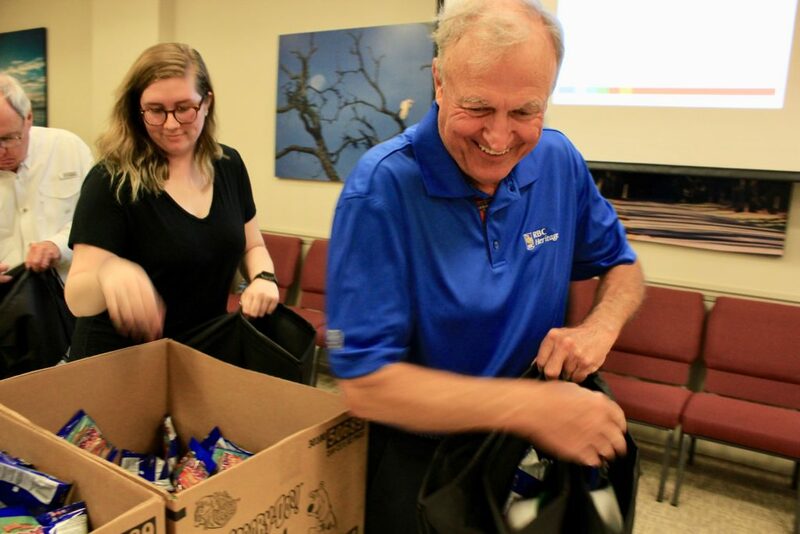 » Employee packing events that Blessings in a Backpack coordinates either in a conference room/office facility, offsite conference venue or at a partner school. Click here to learn more. » Workplace giving payroll deduction, dress down days or other in-office fundraising campaigns. »In-kind support such as non-perishable food donations, technology donations, or professional expertise in a myriad of areas, such as public relations support to raise awareness about hunger in America through campaigns, advertising, digital and social media. » Mobilize networks by rallying employees, customers and suppliers to raise funds to provide hunger-free weekends. Backpack Board of Directors, board committees, regional leadership boards, or associates boards. » Corporate match for a national giving campaign, such as Giving Tuesday (Tuesday following Thanksgiving) or a campaign tailored to any appropriate time of year. 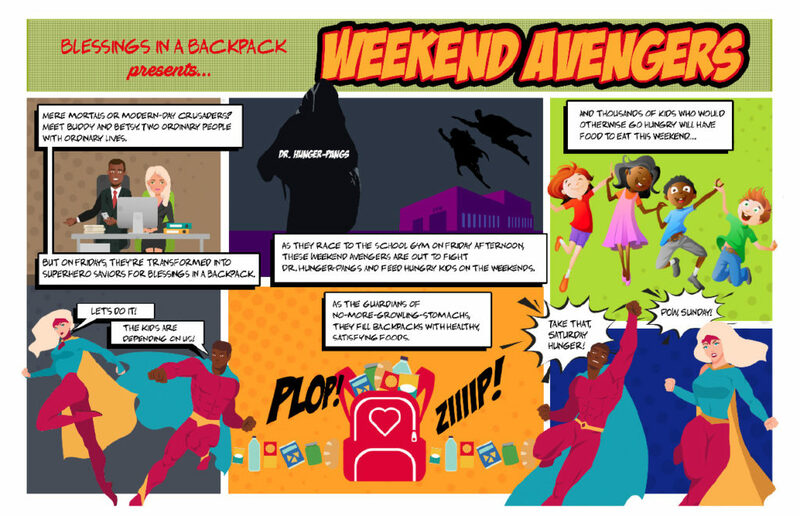 If you would like to learn more about Blessings in a Backpack and how we can work together to ensure more hunger-free weekends for children living with food insecurity, please submit the inquiry below or email Diane Palmer.